Twomey Latham is pleased to announce that Jessica Klersy has joined the firm as an Associate Attorney. Ms. Klersy focuses her practice in the areas of estate planning, trust and estate administration, and elder law. 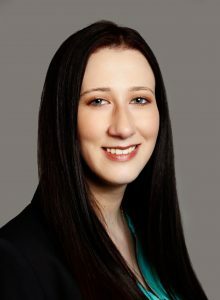 Ms. Klersy graduated from St. Joseph’s College with a Bachelor of Arts degree in Psychology followed by graduating from the Jacob D. Fuchsberg Law Center of Touro College in 2017, where she earned awards as a pro bono scholar. While in school, Ms. Klersy worked as a student attorney in the Touro Elder Law Clinic. During her last semester of law school, Ms. Klersy devoted more than 500 hours assisting women in Domestic Violence with Nassau Suffolk Law Services. Ms. Klersy is admitted to practice law in the State of New York and is a member of the New York State Bar Association.